published: GQ magazine USA, 2015. 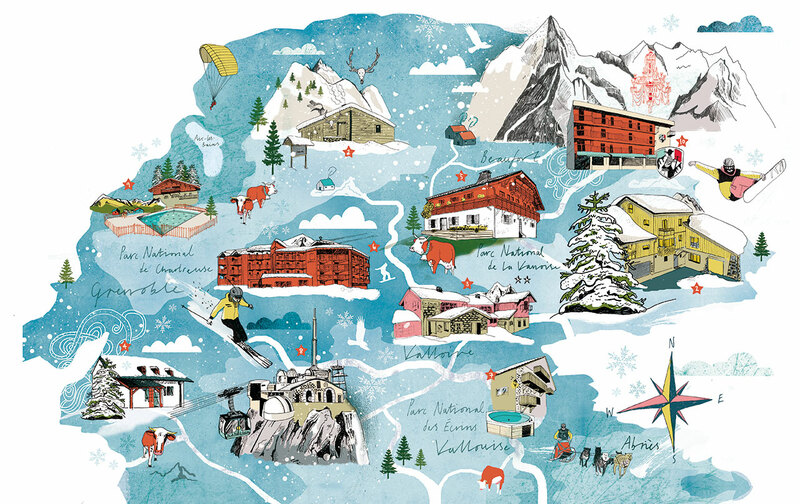 From 'Mind the Map', © Gestalten 2015. 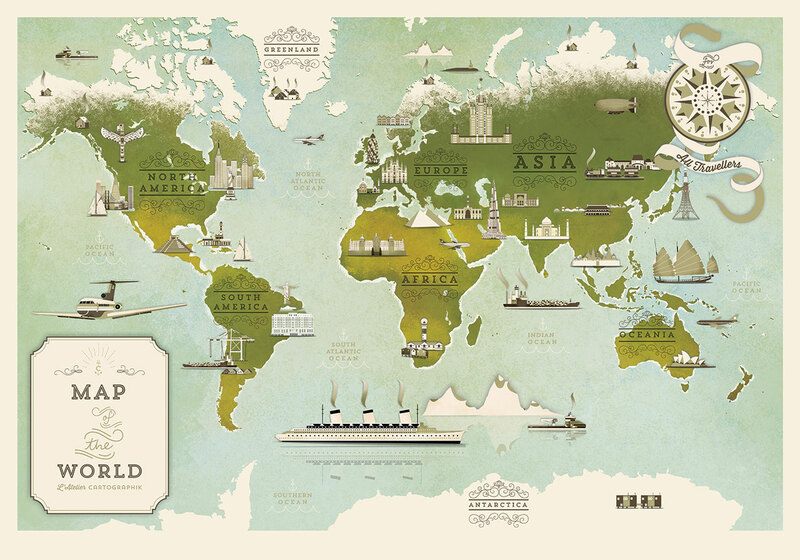 Mind the Map: Illustrated Maps and Cartography is created for wander-lusting real world travellers and daydreamers alike. Published by Gestalten, this 288 page, timeless tome is a colourful, full-page showcase of the art of contemporary map making. 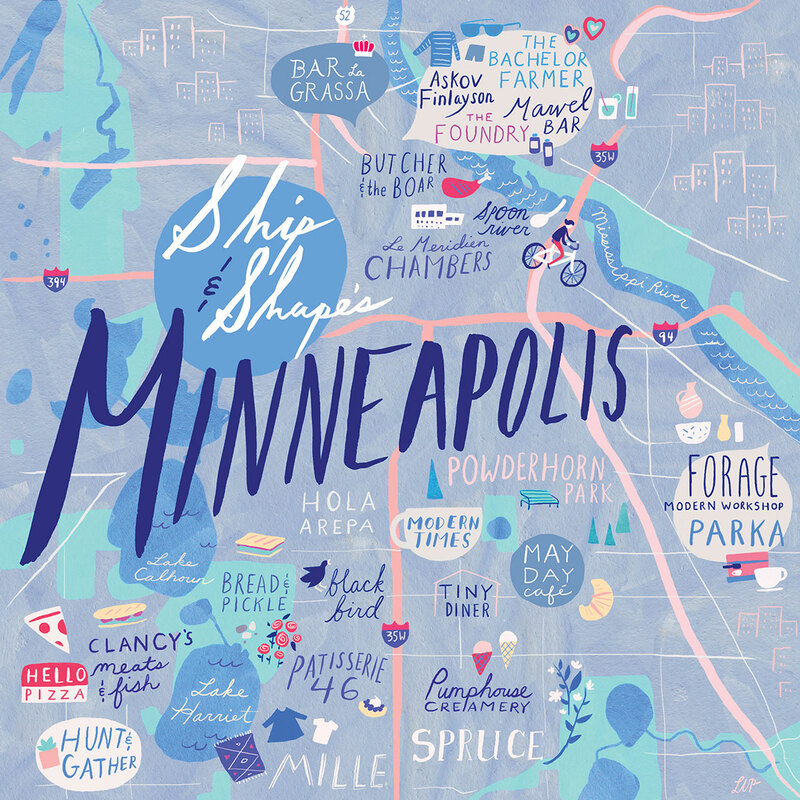 The featured maps vary from the hand-illustrated city guides of Libby VanderPloeg, to the etchings of Mychael Barratt, and from the simple modular forms of Cruschiform, to the retro-futuristic, cartoon-inspired pieces of Mads Berg, plus countless other artists and mediums in between. 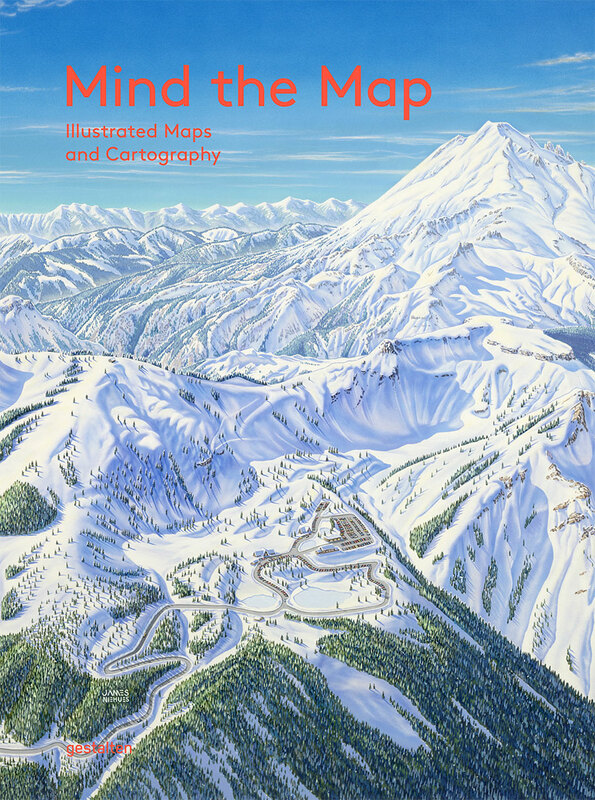 This book exemplifies the fact that there are as many and as varied maps as there are artists, proving that maps are unique, personal interpretations of our surroundings according to the artists’ viewpoint. 'Mind the Map' book cover, © Gestalten 2015. Belgian Pavilion Architecture Biennale Venice, 2012. 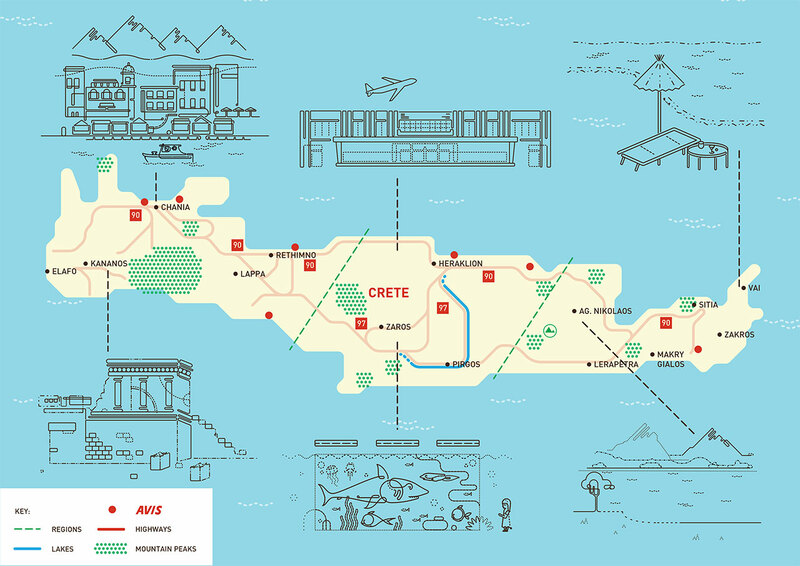 In his preface, the book’s editor Antonis Antoniou notes that “the urge to make maps comes from the intrinsic need to understand the world and the intricate forces that shape it.” In Mind the Map, those artists that are highlighted with an article share how they originally became involved with map design. For example, for illustrator Lucy Engelman, it all began with the childhood “treasure map” she created for her siblings. On the other hand, for graphic artist James Niehues it all started in the pursuit of a career change that combined his life’s passions: travel, photography and sketching. Although all the tales are different, the common underlying theme is an adventurous curiosity and a desire to chart the uncharted, not just to share it with others but to satisfy a personal yearning too. 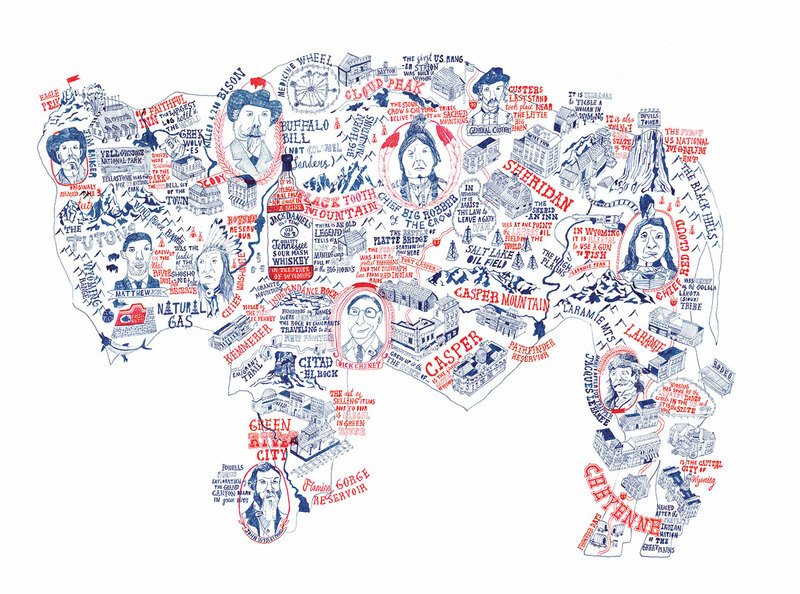 L´Atelier Cartographik - Map of the world, 2014. Fuller - Bristol, UK, 2014. “The audience is almost always a crucial element for any mapmaker,” says Antoniou, since “along with the variety of map types come heterogeneous audiences with distinct needs, attitudes and expectations.” In truth, the term “map” is a very broad one and encompasses an extremely wide array of interpretations and uses, the sheer variety of which is both successfully and exhaustively showcased in the book where we come across practical maps intended to help orientate travellers in a foreign land, or maps used by advertisers and politicians to sell a specific story. Other map designs are meticulously drawn and intended for public assistance, such as metro maps, while others are tailored to display on mobile devices. 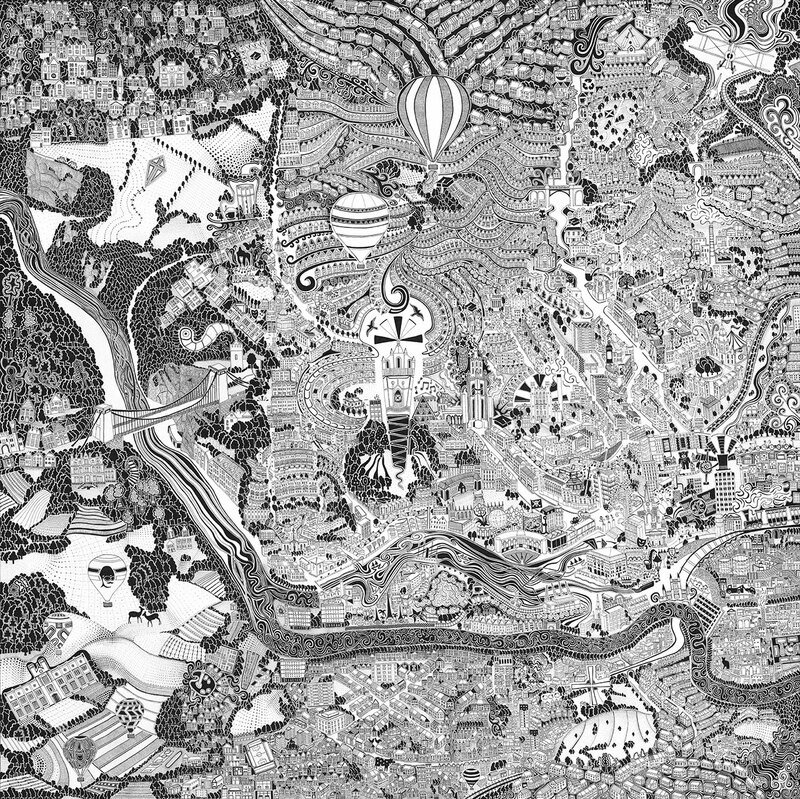 Lastly, there are also maps created more as art than for providing concrete instructions, often seen in magazines and novels. Stamen - Surging Seas, US Costs & Global Costs. published: Toronto Live magazine, 2014. 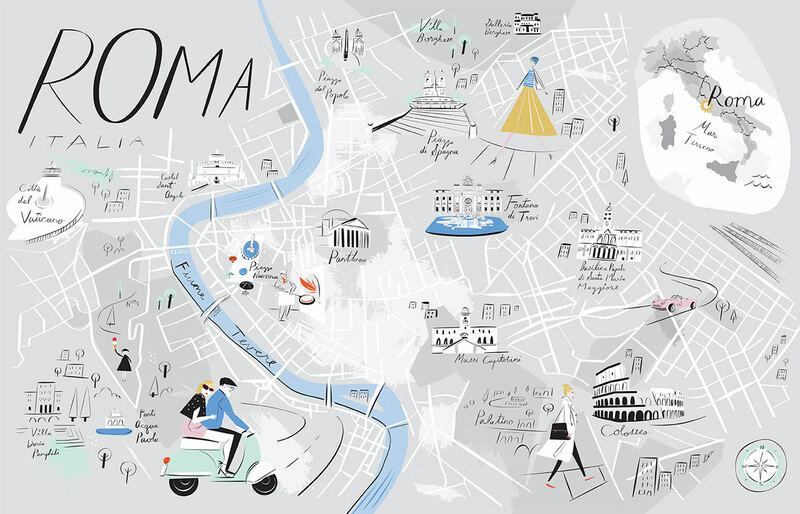 No matter their use, Mind the Map highlights the fact that maps are indispensable pictorial storytelling tools that help not only observe but shape the world we live in. But more than anything, maps feed readers’ imaginations and help them step out from what they know for a while; with a well-drawn map in hand, we can take the “road less travelled” and explore the world with the knowledge that we can easily return home again. published: Cookbook A Taste of Rome, Hardie Grant UK, 2015.
published: Le Monde magazine, France, 2014. Archies Press - A Mental Map of… Manhattan, 2013. Michael Pecirno - Minimal Maps - Water. 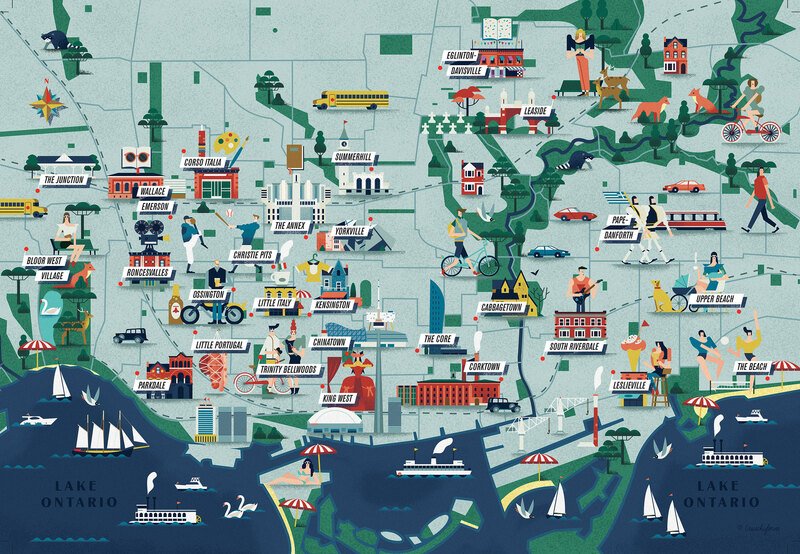 Will Scobie - Avis-Illustrated Maps 2013. 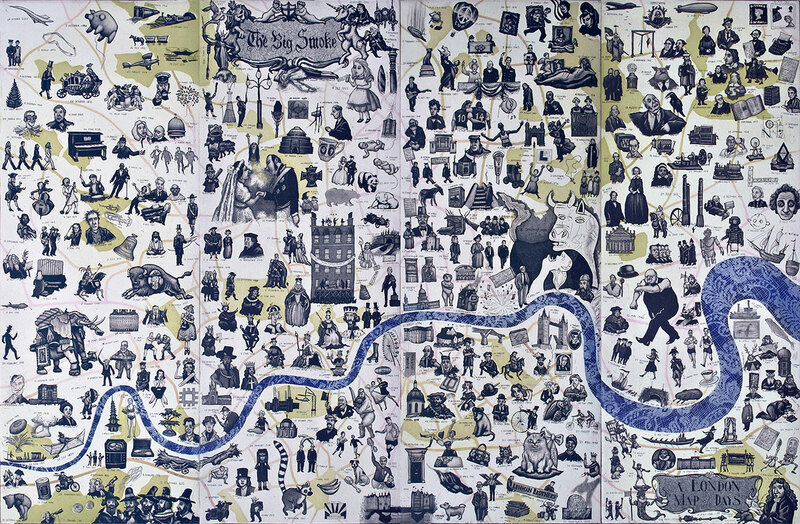 Mychael Barratt - A London Map of Days, 2015. Stuart Hill - Buffalo Map, 2013, Buffalo, NY, USA. 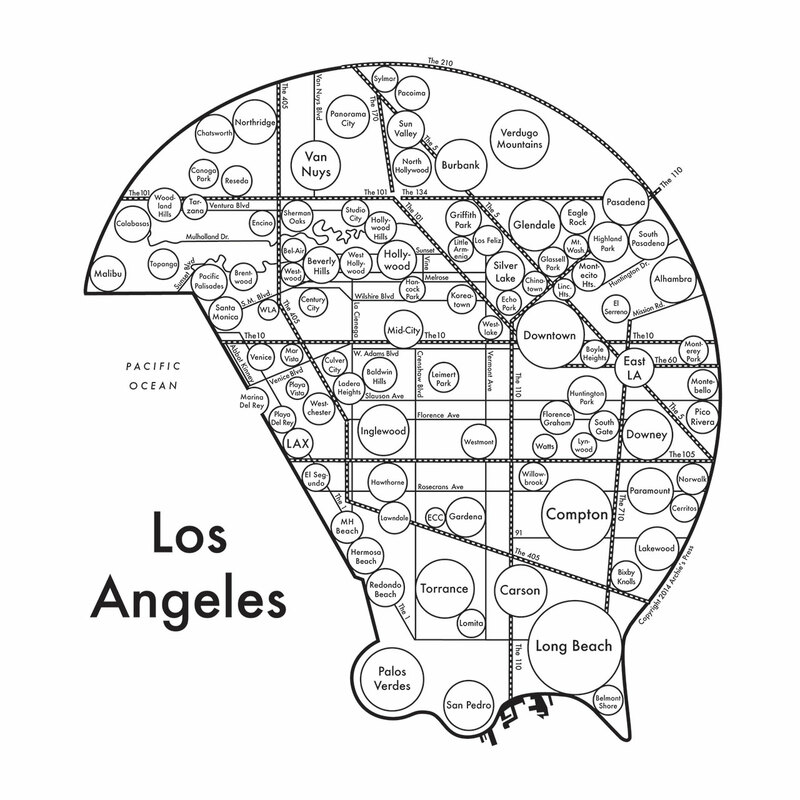 Archies Press - A Mental Map of… Los Angeles, 2013.